While scientists, academics, and activists often differ over the causes and consequences of obesity, nearly all can agree that people benefit greatly from a diet rich in a wide variety of fruits and vegetables—ideally minimally processed so as to retain their nutritional benefits as well as integrity of flavors and textures. Yet Americans, with an overabundant array and quantity of food available, don’t eat enough fruits and vegetables, and what produce they do consume tends to be top-heavy with fried potatoes. Instead, Americans are consuming fat and sugar: the highest percentage of solid fats and added sugars in the world, some 37 percent of daily calories consumed (compared to the world average of 20 percent), largely in the form of highly processed salty and sugary snack foods. There are numerous reasons why this is so, but it is partially the result of United States’ cultural values that privilege convenience and efficiency, as well as corporate capitalism and advertising that create seemingly irresistible products. Also contributing is the absence of an intact food culture that provides rules and boundaries for eating while highlighting and enhancing pleasure and commensality with food—aspects retained with greater strength in Europe. Cheap industrial food has guaranteed a sufficient food supply, but at a significant cost. Obesity aside, this enormous consumption of highly processed, minimally nutritious industrial food products comes with health consequences, a notion demonstrated by numerous scientific studies. My recent book, Inventing Baby Food: Taste, Health and the American Industrial Diet (2014) strives to put these American eating habits in historical and cultural context by telling the story of the development and mainstreaming of commercial baby food in the long twentieth century. While mothers and health professionals alike welcomed commercially mass-produced baby food as a convenient, affordable way to provide more fruits and vegetables year-round to American babies, the creation and marketing of baby food helped spur the introduction of solid foods into babies’ diets at increasingly early ages. Mid-twentieth century US baby food consumption figures are particularly revealing. Commercial baby food came on the market in the late 1920s, and only a few decades later the overwhelming majority of infants were formula fed with solids being introduced on average at four to six weeks–some doctors advocated solids just hours after birth. Commercial baby food became an essential product laden with strong positive meaning, an established pervasive presence in American culture. By the 1970s it was estimated that infants in the first year of life consumed 72 dozen jars of baby food. The Gerber baby, a winsome, compelling pencil sketch that appeared on labels and advertising since the early 1930s, became the most recognized brand icon (of all products) in the United States. In addition to signifying quality, the Gerber Baby cultivated a powerful connection with female consumers. Its large eyes which stare straight into the viewer’s, round symmetrical head, button nose, and tiny bow-like mouth typify the “cuteness” and perceived vulnerability that evolutionary biologists surmise increases the likelihood of parents’ protecting their young. As late twentieth century scientific studies revealed the negatives of such industrial products, consumers began to search for better products, or simply began to make their own. Yet because of the flexibility commercial baby food provided, such as allowing mothers with young children to enter the paid workforce more easily, commercial baby food remained an entrenched rite of passage for nearly all American babies. 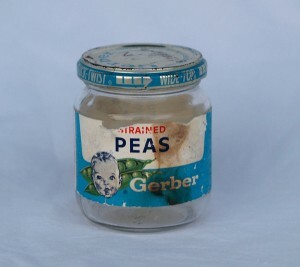 This early introduction of commercial baby food, which at midcentury contained generous amounts of sugar, salt, preservatives, and emulsifiers, helped to shape Americans’ taste preferences, and primed their palates for the highly processed industrialized products that have contributed to health problems today. I realize I run the risk of being accused of over generalization, but this “industrial palate,” a mainstream taste profile favoring sweet, salty and mild flavors with few sharp and bitter flavors, served the economy well, accommodating Americans to the homogenization of flavors, textures and aromas its massive industrial food system required. By catering to the lowest common denominator it served to offend the fewest, especially important in a nation of immigrants coming from different food backgrounds. While new boutique baby food companies create products designed for parents seeking out fruits and vegetables currently in vogue (kale, acai berries) the products still contain an overwhelmingly sweet taste profile. White rice cereal, a common first food in the US for most of the twentieth century, is emblematic of the industrial palate: smooth, bland, and white. Research indicates if infants are fed overwhelming “beige” first foods (white rice cereal, applesauce, pureed pears, bananas) as they are in the US, they pick up strong cues not only about what food tastes like (bland), but what it is supposed to look like (pale) and what its texture should be (smooth). Is it surprising, then, that many kids in the US go on to prefer similarly “beige” plain noodles, pizza, chicken nuggets, and French fries? While Americans are not the only group to seek out sugar, salt and fat–humans after all, are hard-wired to crave these substances–baby food as a rite of passage for most American families has functioned as a gateway food to a highly industrialized food system that provides cheap calories at the expense of better health and nutrition. Fortunately baby food companies have cleaned up their acts and today the products are much improved. Further, for many American infants today commercial baby food can actually have a protective factor, in that the longer they stay on baby food the later they move to French fries, the most commonly consumed vegetable for toddlers in the US. While baby food products are better than their counterparts a generation ago, they still overall bear a sweet flavor profile as well as exhibit aspects of an “industrial taste” that are at odds with fresher, more vibrant tasting fruits and vegetables. Americans’ taste preferences are shaped by decades of exposure to highly processed, minimally nutritious food products laden with sugar, fat and salt. It will take decades, if it is possible, to alter those taste preferences. This entry was posted in Diet Practices, Food Industry and tagged baby food, taste. Bookmark the permalink. Amy Bentley is Associate Professor in the Department of Nutrition, Food Studies and Public Health at New York University. 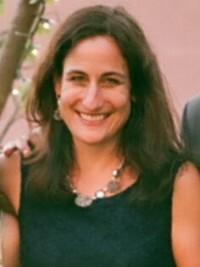 A historian with interests in the social, historical, and cultural contexts of food, her publications include Inventing Baby Food: Taste, Health, and the Industrialization of the American Diet (University of California Press, 2014), Eating for Victory: Food Rationing and the Politics of Domesticity (University of Illinois, 1998), A Cultural History of Food in the Modern Era (ed.) (Berg, 2011), as well as articles on such diverse topics as the politics of southwestern cuisine, a historiography of food riots, and the cultural implications of the Atkins diet. Bentley is co-founder of the Experimental Cuisine Collective, an interdisciplinary group of scientists, food studies scholars and chefs who study the intersection of science and food, co-founder of the NYU Urban Farm Lab, and also serves as a Faculty Fellow in Residence at Brittany Hall at NYU. She is Editor of Food, Culture, and Society: An International Journal of Multidisciplinary Research, and is a board member for the journals Food and Foodways and the Graduate Journal of Food Studies.